If you are in the market to buy a second hand car, here are a few reasons why you should consider buying it online rather than offline from a dealer. All you need is to learn how to finalize a deal online and you will end up with very good benefits. Usually people who wish to buy a used car approach a used car dealer to get what they want because this is the tried and tested method of going about it. In spite of all the headache and paper work involved, we find that people still prefer an offline old car dealer to an online purchase. This is essentially due to two major reasons. One is the fact that people have no idea of the market availability online as well as the fear that visiting an online store may be difficult and complex and beyond their reckoning. Secondly, we tend to hear more and more about internet scams and so many people who find themselves in a dilemma about what to believe would just like to stay clear of such a situation. Basically, there are two things that you need to take cognizance of: One is the fact that if you are familiar with the internet, it is not at all difficult for you to approach a good online store, verify about its credibility and make a successful deal. If you are not familiar with the online market and are planning to get a used car online, here are some tips to help you along. To ensure that you get a very good deal, your first step should be to make a thorough online research. No beginner can afford to bypass this very essential step of making an online research. Reading up reviews by car experts and going through the popular web portals thrown up by your search engine will quickly provide you with all the necessary information that you need. 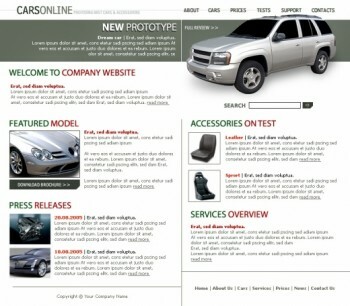 Many online classified websites carry the advertisements of people wanting to sell their used cars. Based on your requirements, you could consider replying to those ads. Make sure that all the necessary information about the car have been provided and don’t rush to make the deal until you get everything that you need to know about it. Once you have the relevant facts about the car, check to see if the price quoted by the owner is reasonable by doing another online research about it. If you feel that the price factor is alright, you can come to the final stage. The last and final step in buying a used car is to take it for a test drive to find out whether it functions as promised by the owner. Drive it on all kinds of road surfaces and observe its road worthiness carefully. Take other factors into consideration such as the efficiency of the engine, smoke, noise, etc. If the car meets all these criteria and is priced reasonably, you can close the deal and make your purchase. Looking for a donor car for your homemade electric car project is now much easier with the help of the internet. You must also ensure that all the lights are working properly and there is no damage. You must also see the blinkers and the tail lights. You must look at the other exterior like disc brakes, mirrors, glass, wheels, rims etc.